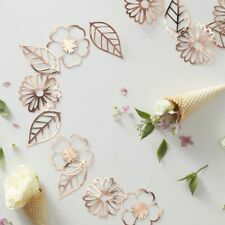 Make your party unforgettable with a whimsical rose gold cut-out floral garland. DISNEY MINNIE MOUSE. FOIL BANNER. 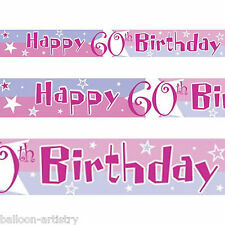 HEN PARTY PINK AND SILVER FOIL PARTY BANNERS. 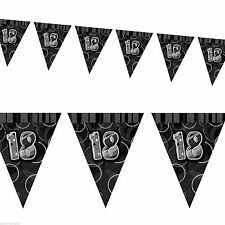 OUR BANNERS MAKE GREAT SASHES TOO SO WHY NOT TRY AND HAVE A GREAT PARTY. 12ft sparkly holographic silver foil 'Mr & Mrs' wedding banner with white hearts. 12ft sparkly blue, pink and silver 'Girl or Boy?'. Ideal for a baby shower or gender reveal party. 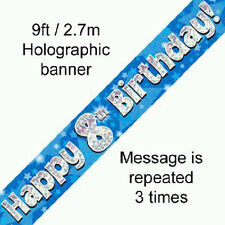 9ft sparkly pink holographic foil 'Hen Party' banner. 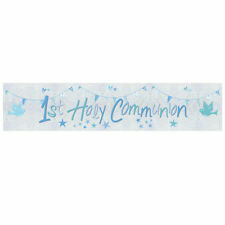 Length 2.7m/9ft, can be split in to 3 shorter 3ft banners preferred. 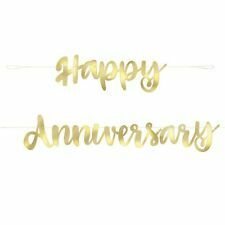 HAPPY ANNIVERSARY WALL BANNERS FOIL. 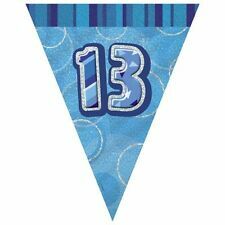 OUR BANNERS MAKE GREAT SASHES TOO SO WHY NOT TRY AND HAVE A GREAT PARTY. 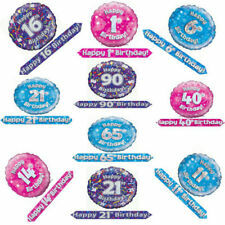 Eleganza Pink Blue Holographic Foil Birthday Banner Bunting Balloon Age 1 - 80. OUR BANNERS MAKE GREAT SASHES TOO SO WHY NOT TRY AND HAVE A GREAT PARTY. Holographic sparkly foil 'Just Married' ivory, silver & gold wedding banner decoration. 365cm long x 12.5cm tall approx. FOIL BANNER. 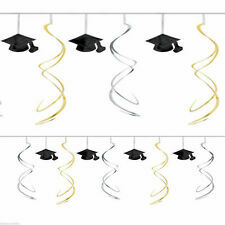 Pink Girl Baby Shower - String Hanging Decorations 6pc - 7ft (2.13m). All orders must be paid within 48 hours. All orders must be paid for within 48 hours. Louise's Party deals was founded in 2006. Originally the idea was to find an occupation that would fit around two young children. ---Includes 1 banner decoration ---Approximately 4.5m in length ---Features the message "Happy Birthday" written in cheerful lettering on a blue background with charming illustrations of Thomas the Tank Engine and friends ---Includes a single design repeated along it's length ---Perfect for Thomas The Tank Engine fans. BANNER IS 2.6M LONG. "SORRY YOU'RE LEAVING". All orders must be paid for within 48 hours.